If you are worried about your zucchini going to waste before you can use it, here is a little tip. Grate your zucchini in your food processor. Place in freezer bags, label and date bags, and store until ready to use. When ready to use defrost at room temperature or in refrigerator. Ring out on clean kitchen towel before adding to favorite bread, cake, or fritter recipe. I live in small apartment. I am always looking for items that fold up, have multiple uses, and that don't take up much room. This booster seat was the perfect alternative to save me room in my kitchen. No, I am not getting reimbursed by Fisher Price, I just like the idea. This booster just sits on one of our chairs, and then can fold up and carried to Grandma's house. Perfect! Do you have way too much zucchini growing in your garden? Or did some get out of control and are too big to eat alone? If you are like my most, you are trying to find ways to use it up. Sometimes, I just can't take any more zucchini bread. I had some big guys (compare to my 6 month old!) and used these. 1. 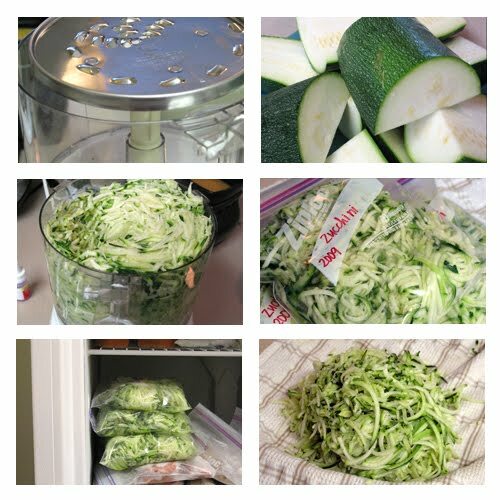 Cut zucchini into chunks for your food processor. 3. 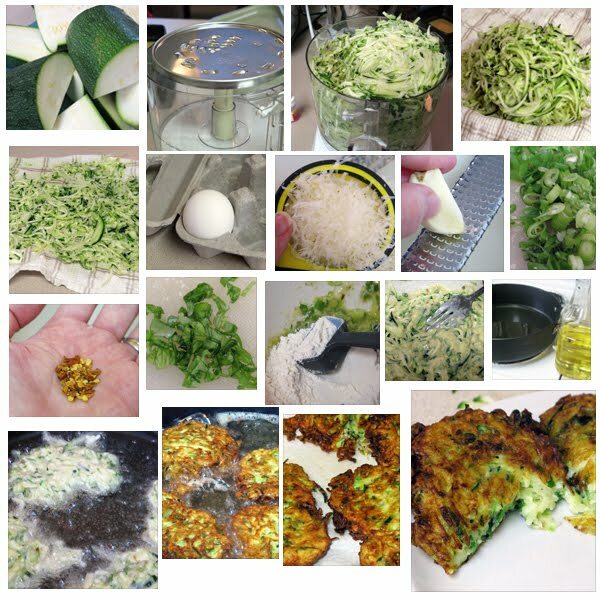 Grate zucchini - the harder you push, the longer the strands. I like mine long. Do what you like. 4. Place zucchini on clean kitchen towel or paper towels. Ring out liquid. 6. In a separate bowl, beat one egg. 7. Add cheese, garlic, scallion, basil, red pepper flakes, salt, pepper, and flour. Mix till combined. Do not overmix. 8. Add oil to frying pan, about 1/4 to 1/2 inch deep. Heat over Medium to Medium High heat. 9. Add zucchini, stir in with fork until zucchini is incorporated, but do not overmix (you don't want chewy fritters). 10. Place mixture in oil to make about 2-3 inch rounds, flatten into disk. 11. Cook until edges are brown, flip. 12. When finished, drain on paper towel. 13. Voila! Your done. Eat them immediately. Serve with greek yogurt or sour cream. *I tried out a new format for the pictures. What do you think? I am trying to not have a post 3 feet long, and to not be so Pioneer Woman-ish. 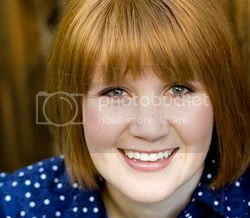 Should I number the pictures to make it easier to understand? Do you like the old way better? Let me know! Thanks. English translation: peak of the rooster. Culinary translation: delicious! I love this salsa - simple yet delicious. This is it on top of our chicken fajitas. Cut onions and tomatoes to desired size. I like them pretty small. Chop cilatro and add. Cut jalapeno in half and remove seeds and ribs according to desired heat: mild - remove all, medium - remove one half, hot - keep it all. Add to bowl, stir well. Add lime or lemon juice. Add about 2 tsp salt. Taste, adjust as needed. The amount of salt really varies depending on the flavor of the tomatoes. If you want to skip all the cutting. Make this in the food processor. I would do each ingredient individually so you keep the texture just right. The other day my sister, a friend, and I were talking about how we are slightly food snobs. We love good food and cringe when things are not done properly (ie - whisk the heck out of pancake batter only to produce a chewy, leather product). But, we also were talking about our "ghetto" guilty pleasure. One mentioned gloppy from the packet Ranch dressing, my mom's - ketchup (on anything Mexican). Mine? Fake maple syrup. I tried the ultimate real, dark amber stuff. I wasn't that big of a fan. I like the fake, from corn syrup stuff. Don't judge me too much. What is your ghetto pleasure? Come on, we all have one. PS - maybe I should start with the light amber maple syrup, maybe it won't taste so... earthy. Although I love this barbecue sauce and could practically eat it by the spoonful, I didn't have any leftover and needed something faster. But I was inspired by the peach preserves for this recipe. 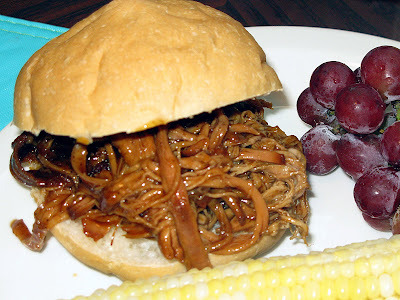 Mix preserves and barbecue sauce in slow cooker, add tenderloin. (I like to use tenderloin because it is so lean - less fat means I can eat more!) Cook on low for about 6 hours or until shreds easily. After shredding, return back to slow cooker until ready to eat. If I would have known how easy baby food was to make, I would have been making it long ago. 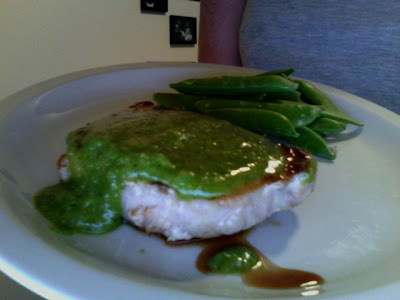 I steamed green beans (then later peas) until they were soft then placed in a blender until the right consistency. I did add a little water to thin it out. You could add formula or breast milk if you would rather. I also added a little rice because I had some. I saved old baby food containers then labeled and put them in the freezer. You can do this with any vegetable or fruit. Easy! Plus your baby gets used to the way you cook. I have spent almost the last two weeks without my husband. I try to look to the positive, but I have to say it is lonely every moment without him. Baby Lou and I miss him dearly. He is truly a wonderful husband and father - not to mention my best critic for my recipes. I can't wait to see you in a couple days! Nothing says summer like a good ol' barbecue. My sister and I got together for dinner but didn't want to do the same old hamburgers and hot dogs. So, we had ribs. Preheat the oven to 250 degrees F. Put the ribs on a baking sheet, season with salt and pepper and drizzle with olive oil. Stick them in the oven, and let the ribs bake, low and slow for 1½ to 2½ hours. Meanwhile, make the sauce. Heat a 2-count of oil in a large saucepan over medium heat. Add the bacon and thyme and cook slowly for 3 to 4 minutes to render the bacon fat and give the sauce a nice smoky taste. Add the onion and garlic and cook slowly, without coloring, for 5 minutes. Add all of the rest of the sauce ingredients, give the sauce a stir, and turn the heat down to low. Cook slowly for 20 minutes to meld the flavors. Put some sauce in a separate bowl for basting, reserving the remaining sauce for serving. When ready to eat, preheat the broiler for 5 minutes and broil the ribs, basting with the sauce. They should become crisp and charred, about 5 minutes on each side. *The original recipe says to leave the onion whole and to just smash the garlic. Also wrapped the bacon around the thyme and secure with twine. Then pull out all of these ingredients when ready to eat. But, I don’t mind a chunky sauce, so I chopped them up and left them in. 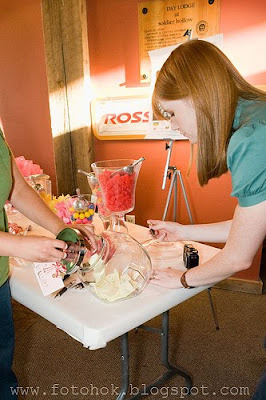 My first blogger event was a blast. We had fun eating, meeting new people, and sharing ideas. The retreat was a blast. The food was delicious. I shouldn't talk about how much of this meat I ate. The Chocolate provided dessert. My favorite was the coconut pineapple cake. The horse ride was beautiful. We are so lucky to live in such a beautiful place! Thanks to Rocky Mountain Outfitters for letting us go for the ride. One of the great items from our swag. I am excited to try out the universal cream sauce. We entered a drawing and had to write one of our dreams - me finally owning a home with my dream kitchen! It worked! 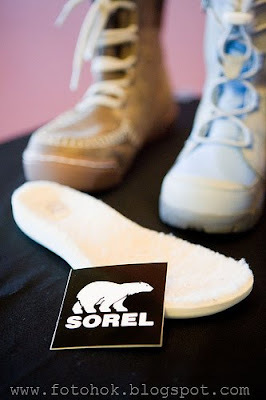 I won a pair of Sorel Boots! I was so excited... I never win stuff. Thanks to April and Joni for putting on such a fun event! Thanks for all those sharing pictures with me. 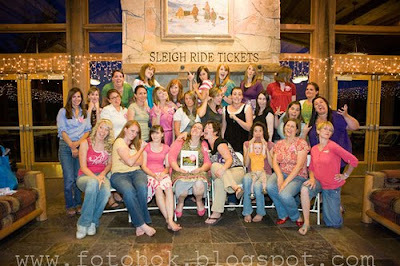 Most of mine are across the country still in my camera with my husband. Again, excuse the iMac photo. Since my husband is out of town, I am loving the leftovers. I used my leftover pesto for dinner tonight. When pasta is cooked, drain, saving a small amount of pasta water. 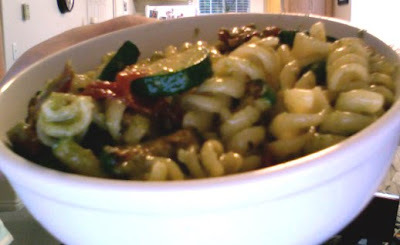 Return pasta to hot pot with zucchini and sundried tomatoes. Add pesto, stir until just warmed, adding reserved pasta water to thin if needed. This would also be great with chicken. 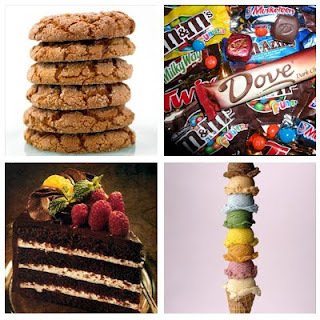 After seeing some recent pictures of myself I have decided to make a vow: Starting tomorrow, no more sweets for me. I am not taking sugar out of my diet all together (will still put some on my oatmeal, etc) but I will not eat desserts. Now, now, before you start to fret - I will still be making desserts and sharing those recipes... I just won't be eating the entire recipe. Wish me luck... I hope I can do it. My camera is on tour with my husband, so you will have to excuse my PhotoBooth picture. Recently I have really come to love pesto. It is so versatile - both what you can put in it, and what you put it on. It is delicious on pasta, chicken, pork, fish, beef, sandwiches, vegetables, almost anything. I didn't really measure as I made it, so excuse my "measurements"
Place the Parmesan in the food processor and pulse until grated. Remove from processor. Place basil, garlic, and walnuts in processor and pulse until chopped fine. Turn processor on and drizzle olive oil in slowly through top until comes to the consistency of a thin paste. (It is important to use a good quality olive oil because this is a raw sauce.) Stir in Parmesan. Taste before adding salt and pepper - sometimes the saltiness of the cheese is enough. This makes enough to top two servings of protein. If you want to make a larger batch - follow recipe above except keep the Parmesan separate and add just before eating. Freezes great. The month of August has snuck up on me! I love the summer and fall months for the fresh fruits and vegetables. Thanks to my Good Housekeeping Cookbook I am able to find out not only how to use fruits and vegetables, but when their peak season is. 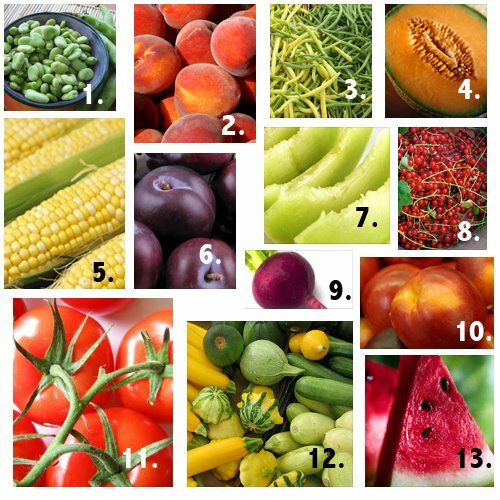 Here are some local fruits and veggies in thier peak season in August. Enjoy your local fruits and vegetables from your farmers market!